(Bloomberg) – The rout in emerging markets showed no sign of letting up, with most currencies weakening and an index of stocks nearing a bear market. 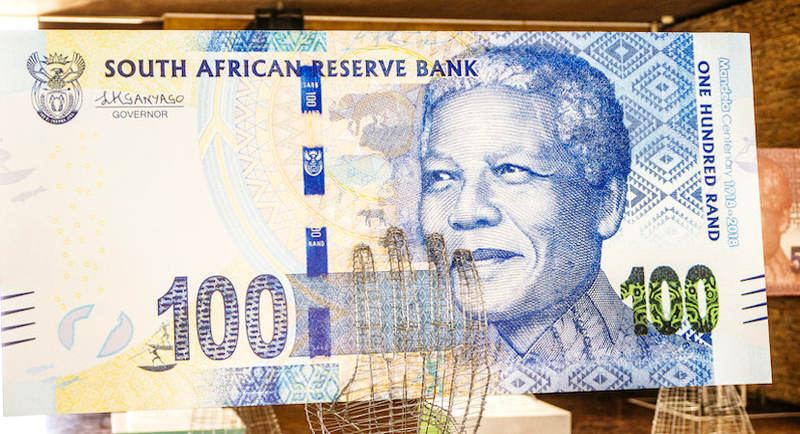 South Africa’s rand led the sell-off, falling to the lowest level in more than two years, followed by Mexico’s peso. The MSCI Emerging Markets Index of shares dropped for a sixth day, set for its steepest slide in three weeks. Among the worst-hit were Saudi Arabia, where shares were poised for the biggest drop since oil prices collapsed below $30 a barrel in January 2016, and Indonesia, which saw its benchmark index tumble the most in about two years amid concern the depreciating rupiah will lead to higher corporate borrowing costs. The declines added to concern that investor nervousness is beginning to infect markets whose economies are more robust than others. The negative tone was set Tuesday by a US manufacturing report that boosted the odds of further Federal Reserve rate increases and a strengthening dollar, and South African data showing the economy entered into a recession in the second quarter. It’s “no longer just about EM fundamentals,” Sameer Goel, the head of macro strategy for Asia at Deutsche Bank AG in Singapore, said in a Bloomberg TV interview with David Ingles. It’s “increasingly about contagion, which largely happens because of cross-holdings and the pressure of redemptions,” he said. Morgan Stanley stays short on the currencies of Brazil, Mexico, South Africa, Russia, Indonesia, India and Philippines against the dollar, euro and yen. September is unlikely to provide much relief to emerging markets, Lord and his colleagues at the bank wrote in a note. Trade tensions may remain a theme, and worries about Brazil’s election campaign will probably intensify. Investors may also focus on the outflows of so-called real money, sanctions on Russia and South African land reform over coming months. “It has to get a lot worse before it gets better” he said on Bloomberg Television. “When you get full contagion, everything gets thrown out, and we’re not there yet.” The key catalyst could be Turkey, he said The market has underpriced expectations for the Fed, and with Trump waging trade wars on multiple fronts, the tariffs end up hurting emerging markets more than they hurt the U.S.